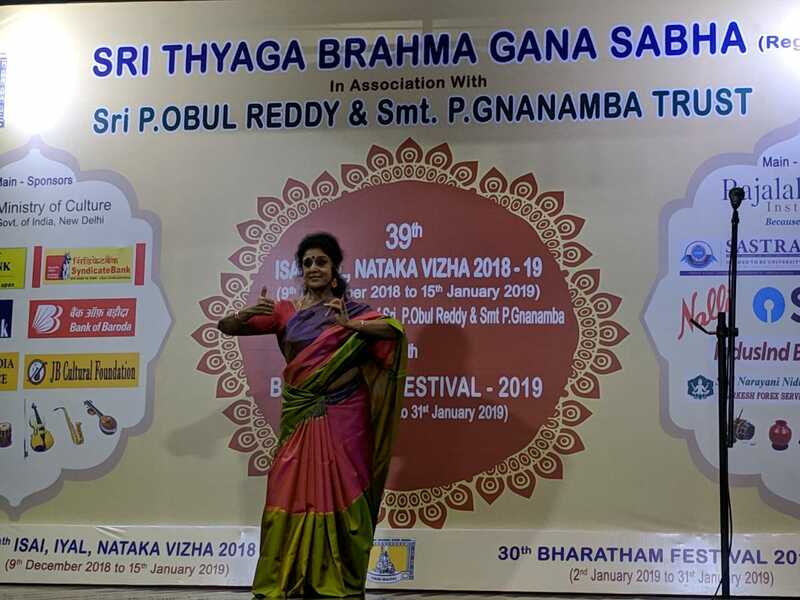 Parvathi Ravi Ghantasala, Artistic Director and Managing Trustee of Kala Pradarshini, celebrated 40 years in dance by honouring her Guru, Krishna Kumari Narendran on 20 January 2019 as part of the Kala Pradarshini Natya Festival. She also honoured all the artists who were associated with her in her 40-year dance journey. 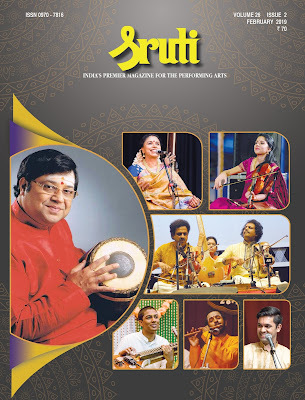 They belonged to allied fields like vocal, flute, mridangam, violin, keyboard, costume, make-up, lighting, compering, design and documentation. "lt is a privilege to laud their services on this auspicious day as they have been part and parcel of my years as a performer and teacher. 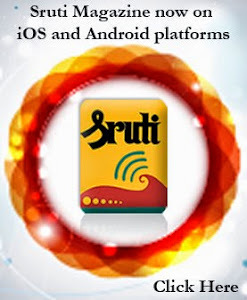 It is an opportunity to salute their hard work and sincerity," says Parvathi. 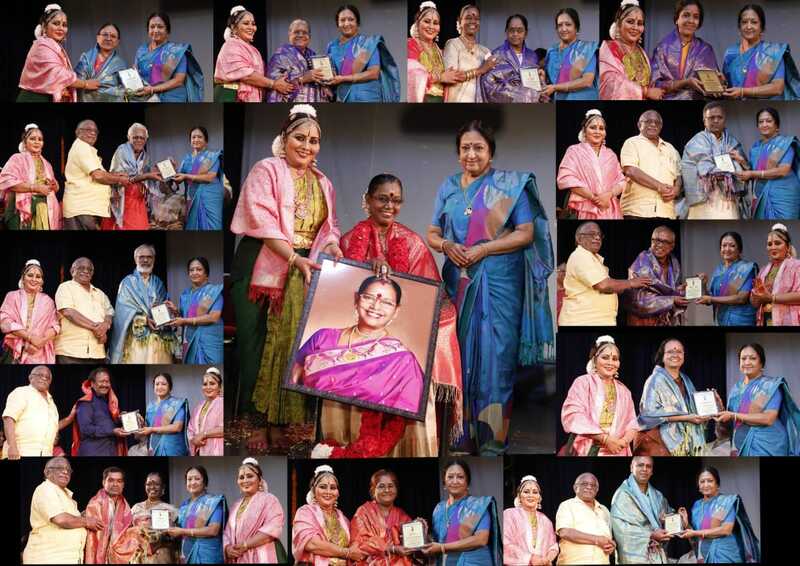 The awards were conferred in the presence of veteran dancer-scholar Padma Subrahmanyam. 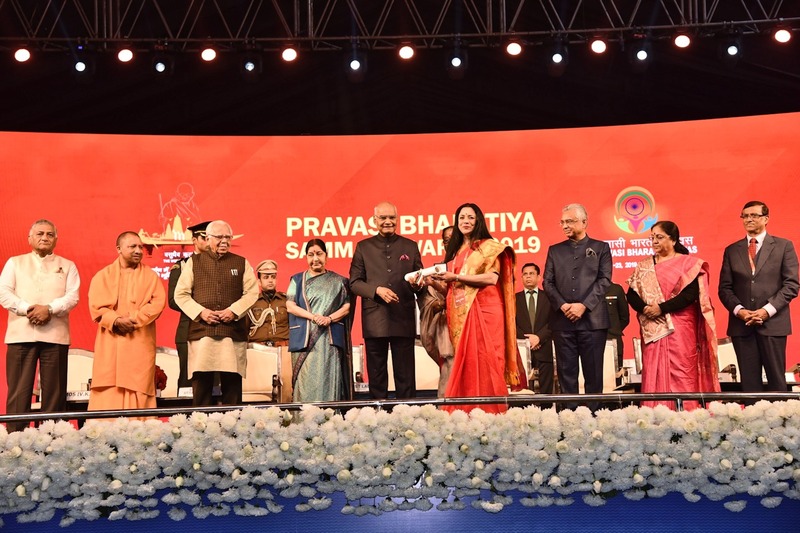 Together we can do so much.When am ensemble of artists from different genres and geography - Victoria, the Northern Territory, Tamil Nadu, Assam and Meghalaya came together for the Australia India Festival 2019, they did not limit their purpose to a series of performances. 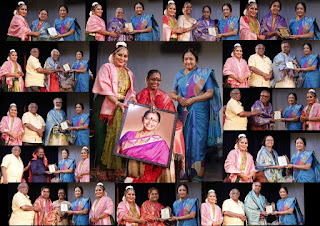 They used their expertise to collaborate with Aanmajothi (Cultural wing of Saraswathi Vidyalaya) and present Churning Waters, a research based performance project as a lecture demonstration for students of Government High School in Kottur, Chennai (to start with) to expose them to a little bit of everything – history, geography, science, music and dance, the interactive way. The project was supported by the Australian High Commission in India, the Victorian Government through Creative Victoria, and Indian partners Adishakti and DakshinaChitra. The team comprised Gina Maree Bundle, a multidisciplinary artist and a Yuin/Monero cultural leader (Melbourne), Green Kumar, a Kattaikkuttu artist (Kanchipuram), Loganathan percussion artist (Kanchipuram), Nadine Lee, artist and author of the resource Caring for Country, Caring for Each Other (2016) (Darwin), Priyadarsini Govind, Bharatanatyam dancer (Chennai), Dr. Priya Srinivasan, artistic director (Melbourne), Sonal Jain, co-founder of Desire Machine Collective (Assam/Meghalaya), and Sylvia Nulpinditj, artist who works for the Aboriginal Resource Development Service as a radio presenter (Arnhem Land/ Darwin), Thilagavathi, co-founder, Sri Krishna Kattaikkuttu Company (Kanchipuram/Chennai) and Uthra Vijay, Artistic Director of Keerthana School of Music, (Melbourne). Churning Waters conceptualised as a unique intercultural and interdisciplinary collaboration between Indigenous Australian, Indian Australian and Indian artists from rural and urban backgrounds brought out stories, songs and movements of water as imagined in the past, present and future in a lucid and fun way to the children. Children were drawn at the very first scene of Thilagavathi’s humorous interaction of meeting natives who belonged to the same land - Australia but looked completely different physically. 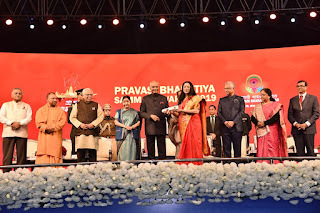 A group dance number was performed to establish the connection between the island continent and India not as a recent phenomenon of post 1973 migration but thousands of years. 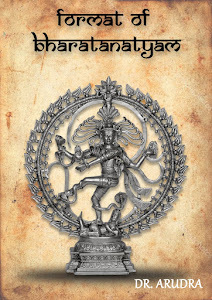 Next followed the enactment of the matsya avatara of Vishnu through Carnatic music and Bharatanatyam gestures. 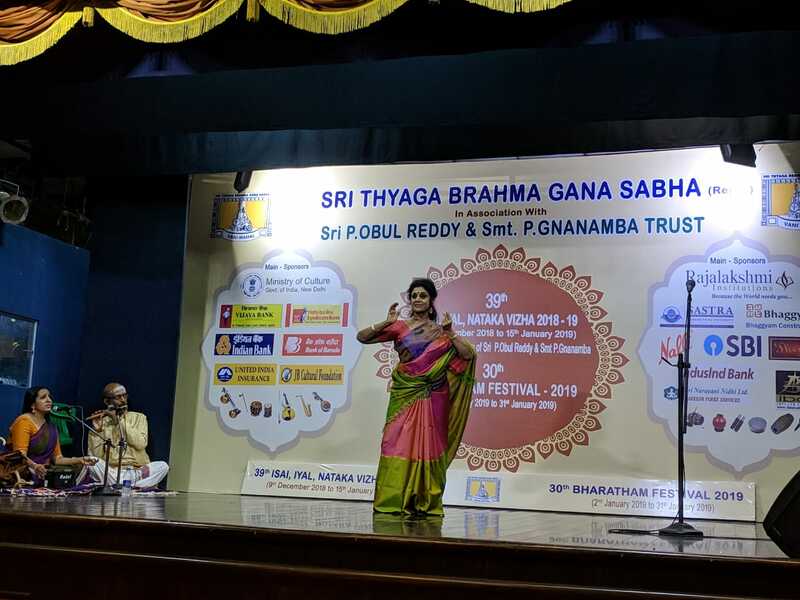 But what stole the show was the students singing Vande meenakshi, a Nottuswara composition of Muthuswami Dikshitar taught to them in less than 10 minutes by Uthra Vijay and the artists dancing to it. 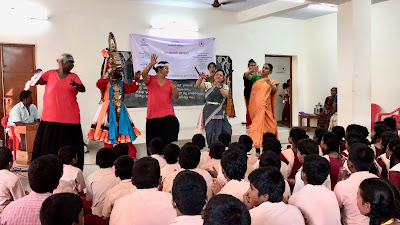 The presentation concluded wwith a fabulous demonstration of the Pancatantra story -- Crow and the fox by Priyadarshini Govind that encapsulated the kids completely. Not just the students, but chief guest E. Govindasamy, Education Officer, Education Department – Greater Chennai Corporation and guest of honour, R. M. Narayanan, President – Rotary Club of Madras East clapped hands to join the students as they cheered. Children were engaged the entire 90 minute presentation through dialogue and interaction. This enabled them to voice out and participate. What came across was firstly, many children learn and showcase a keen aptitude towards music and dance. Perhaps an encouragement can work wonders. Secondly, the impact of live interactive theatre, music and dance is deep and significant to reach out to the next generation. International relations does not mean economic and political concerns alone, art can serve as a strong unifying factor. Such was the goal, much fulfilled. 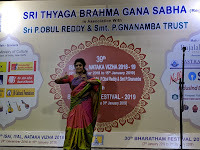 Senior Bharatanatyam artist, choreographer and teacher, Chitra Visweswaran gave a presentation on ‘Search Research and Beyond’ at the Lec-Dem series of Thyaga Brahma Gana Sabha, Chennai during Margazhi 2018-19. Interestingly her first lecture demonstration in the city after she shifted base from Calcutta was on the same day 23 December, 1973 in the same venue! She began with a riveting statement - “Art is complicated and concurrently very democratic. It is nurtured when there is a desire for search and the quest to re-search and when this cycle of search and research becomes incessant.” She touched upon a significant question on experiencing the beyond or the known. Surpassing the virtuosity through crisp adavus, there is the self-content, self-connect or the oneness through dance that every dancer must endeavour to explore. “That there is so much joy in interpretations, so much,” she exclaimed and continued, “But the truth is even for that, we need a trigger”. Beginning with the concept of auchityam or what is appropriate, the lecture was aimed to give young dancers some food for thought and awaken them to find the layers that can be seen and also those that cannot be seen. The riveting lecture included compositions tuned in unique ragas, mentioned names of yester year festivals and interactions of artists over a cup of ‘chai’ or a train journey. 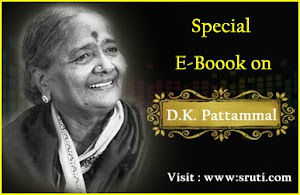 Talking of experimentation in beats, she took the power of shakthi in Shankari Shankuru Chandramukhi and demonstrated usage of cross beats to bring out the dynamism of the feminine. Interesting demonstrations of Tu gire rangana in Mohana, ideally a slow paced song turned into a rhythmic tempo of five or khandam displayed her years of experience of experimentation and innovation. “It is in the laya of the song, tuned in an appropriate raga that the mood can be created,” pointed the veteran. 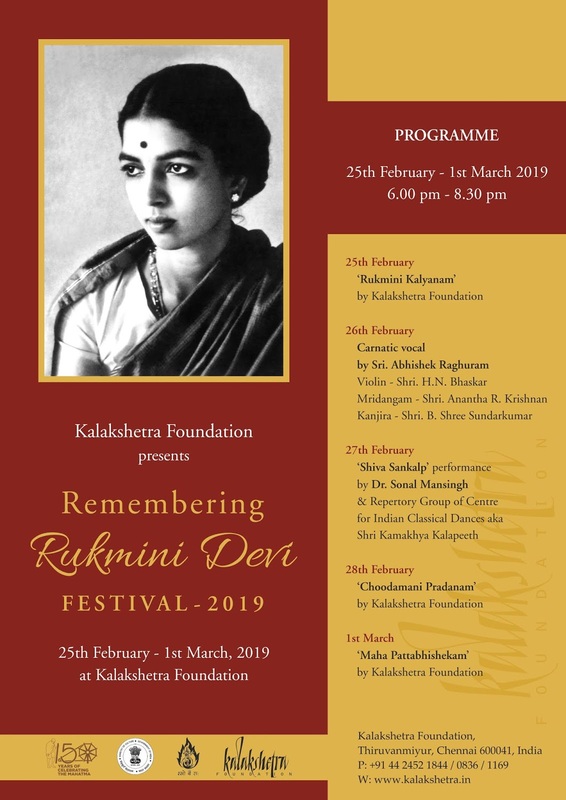 Touching briefly on music, Chitra demonstrated Ardhanareeshwari, a piece first performed for Trinity Festival in the 90’s in the lesser known Kumudakriya raga. 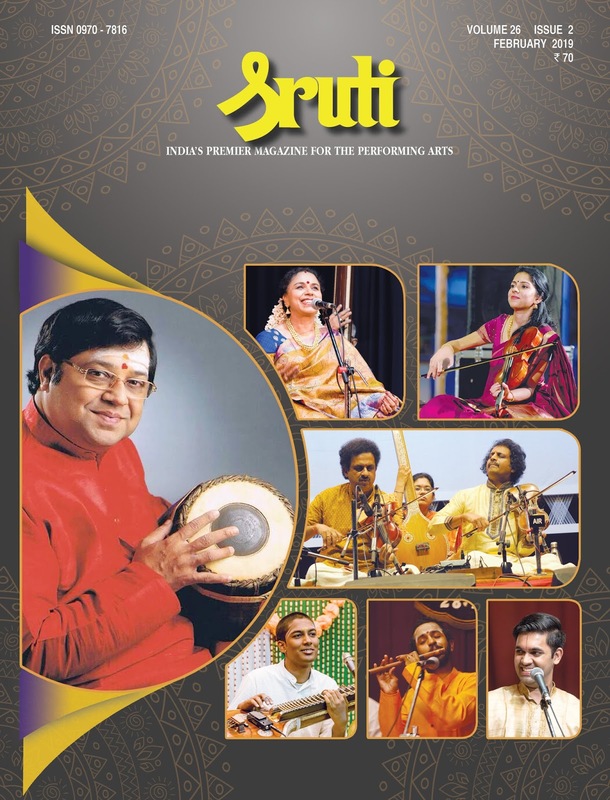 “You can shut your eyes but you can’t shut your ears,” she exclaimed and emphasised, “hence music plays the most important role to take off a piece.” The entry of Manmatha in karnaranjini was exciting. Set to Abheri raga, Ide Samaya Rangabarelo gave a glimpse of how rasa can only be relished when it lies concrete in the soul of the dancer. Moving was the song - Sri Sathyanarayana in her husband and composer Late R. Visweswaran’s’ voice that led the audience into silence and served as a tranquil ending to the lecture. 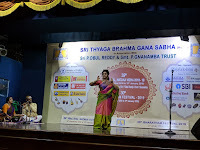 Accompanying her, was Sukanya Ravindhar (nattuangam), the melodious Uma Sathyanarayanan (vocal) and Thiagarajan Ramani, a top ranking flautist of the country. She ended the lecture with a thought provoking statement, “We are doing nothing new. Everything has been done by our forefathers. We are playing a small part in preserving and passing to the future generations.” And this served as a perfect ending to inspire young dancers present in the audience to think of their own contributions, their way. 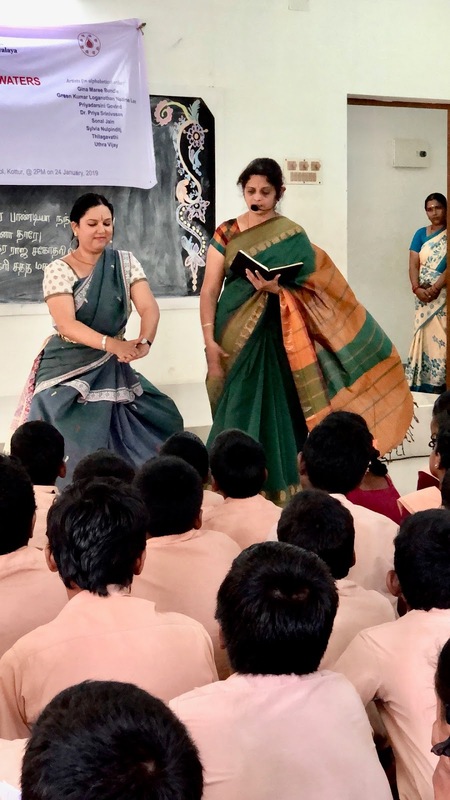 Interspersed with interesting anecdotes from her personal journey, the lecture targeted to creating thinking dancers and a thinking audience, unfortunately was sparsely attended. But those who made it found the lec-dem impactful in not one but many ways.